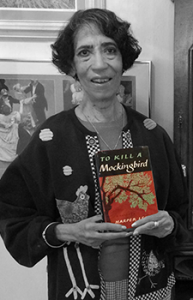 Patricia McKissack worked as a team with her late husband Fredrick (1939-2013), and together they wrote over one hundred books for young readers, including picture books, beginning readers, information books, and biographies. Their book A Long Hard Journey: The Story of the Pullman Porter was awarded both the Coretta Scott King Award and the Jane Addams Peace Award. Patricia McKissack’s picture book, Mirandy and Brother Wind, was awarded a Caldecott Honor Medal. Patricia and Fred McKissack have always felt strongly that all young people need good literature by and about African Americans and have stated a dual goal of improving the self-image of African-American children and of encouraging an open attitude in all children toward cultures different from their own. Patricia and Fred were awarded the prestigious Coretta Scott King-Virginia Hamilton Award for Lifetime Achievement in 2014 by the American Library Association. Recent publications include Let My People Go: Bible Stories Told by a Freeman of Color, written by Patricia C. and Fredrick L. McKissack and illustrated by James E. Ransome (Atheneum Books for Young Readers); Goin’ Someplace Special (Atheneum Books for Young Readers), written by Patricia C. McKissack and illustrated by Jerry Pinkney; and Never Forgotten, written by Patricia C. McKissack and illustrated by Diane Dillon (Random House Children’s Books). Goin’ Someplace Special was a Coretta Scott King Illustrator Award winner. Never Forgotten was a 2012 Coretta Scott King Author Honor Book.